Can One Stop Order Processing be used over the internet? The following guide explains how One Stop Order Processing can be used over the Internet. Yes. 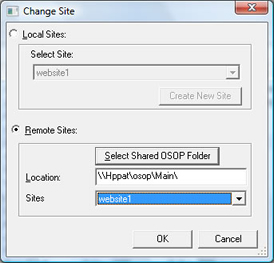 The multi-user version of our software works over a network that provides drive sharing from the server. You can use any network type as long as it provides reliable read and writes access to the shared data. You can use One Stop Order Processing in more than 1 location anywhere in the world using an internet connection (using Hamachi). For example, if your packing department needs to see and process orders and they are in a different location to the main order PC you can use the internet to synchronise the order information. Note: You need at least a 512K broadband internet connection on the main AND remote PC to obtain suitable performance. Using Hamachi you can extend the availability of your shared orders folder to the entire internet. Your own PCs remain secure over the internet by using encypted data and your own network group (which users must log in to). Hamachi is VPN software which has a free version and subscription version. The subscribed version allows finer security tuning and support. The following details describe how to set this up. During the installation (or in the Security configuration) you should make sure that Block vulnerable Microsoft Windows services is unticked. The following shows what the settings are for a normal network setup and an internet setup. In the following setup, you need to enter the Hamachi IP address of the main PC in place of Hppat. When you setup Hamachi you are given a unique IP address (shown at the top of the main window), e.g. 5.73.62.81.